Since the beginning of time, humans have sought meaning to the purpose of existence. We’ve seen, read, and heard a lot about the word purpose. Purpose can be defined as original intent. Now, let’s get down to work! Shall we? These 7 tools is not all about standards; it’s all about lightening up, having fun, enjoying life, and build a business fit for purpose. To know what counts, and what doesn’t, you have to know what you are dedicating your life to. There are of course, no right or wrong tools to penetrate the marketplace as it’s a very personal choice – but it’s really useful to have this listed tools to get you started, rather than not really knowing. Enjoy! Of course, some people will like to knock down a vision board simply because they don’t think its top priority in running their day to day business. Well, they may be right but from the universe’s standpoint, having a vision board are generally proven path to success in life. It means that you have an image of your vision. Have you created a vision board yet? Did you know how WikiHow described it? A vision board is a collage of images, pictures, and affirmations of your dreams, goals, and things that make you happy. It can also be called a dream board, treasure map, or vision map. Creating a vision board can be a useful tool to help you conceptualize your goals and can serve as a source of motivation as you work towards achieving your dreams. It went further to explain the 4 steps you can take to create one. When the student is ready, the teacher will appear! Connect with source. Say the things you want to manifest in your life, meditate on them. Speak positive things. Use uplifting words. Imagining and visualisation isn’t enough. Say the things you want to attract and it will soon become your reality. Repeat as often as you should. Do not let your fears get in the way. Fear of failure is what stops most people from drawing abundance into their lives. Conquer your fears today and let spirit move through you. Selah. Let’s face it, when we come across the word ‘instruments’, we mostly think about musical instruments like 🎸 🎻 🎹 🎺 🎷 etc. Am I right? Oh yeah! I thought as much. Well, for the purpose of this blogpost, we are focusing on the 3rd functional definition of instrument as IMPLEMENT; especially: one designed for precision work. This is the base on which ‘Market Penetration: 7 tools to get you started’ is duly rested. I often hear people say, buy more expensive instruments = problem solved. Well, it could be an effective approach to purchase a fully functional and better designed instruments but if you can’t play, buying a more expensive instrument will not solve your problem. You have only created a false image without depth and it will soon become clear for everyone to see that your façade is only for a brief period of time. A fraud that won’t stand the test of time. Easily disposed as soon as a mighty wind blows. When you play from the core of your being, this is who you truly are; what you’re here to do, what you must be, and why you should. Never give up and you’ll see the universe conspire to make things happen in alliance with your heart’s call. Developing and building your platform, which will be the basis for growing your audience and promoting to them. 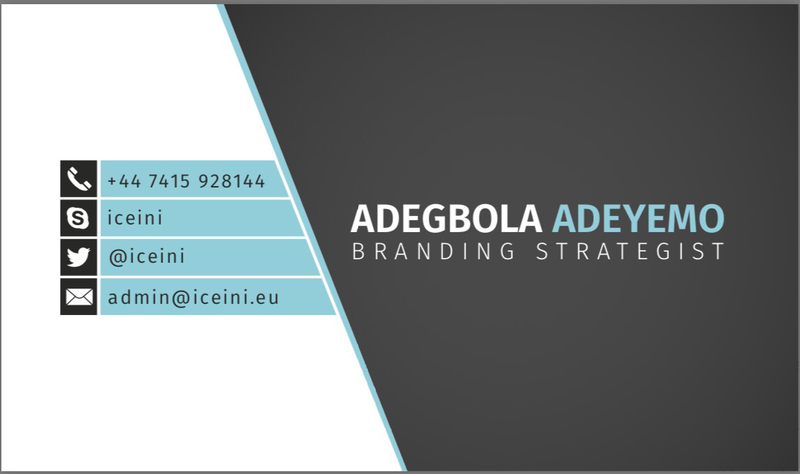 Create a brand image in line with your vision. Once you find your unique voice and build a reputation, people will look at you as a resource. Brainy quotes focuses on you know? Quotes. Amazon delivers nearly everything A-Z. This is not Google alphabets or anything like that but Amazon managed to simply communicate her vision through the Amazon logo. Having a platform makes things grow because you have a Homebase where people can come and view you. When they connect with the message, feel, design, function, aesthetics,….. they will trust you. Facebook, YouTube, Twitter, WordPress and GoDaddy are all typical examples of platforms that serve specific purpose. Think about this when building your platform. Bringing in a third party to support your platform is the best light you can give to areas not illuminated. Light up your idea with businesses who are already established to give you the exposure needed to be discovered by people who are looking for you. Facebook, YouTube, Twitter, WordPress and GoDaddy are all typical examples of platforms that serve specific purpose. Very useful for startups and long trading businesses. Think about this when building your platform. Let your social network connect with and support each other. You don’t have to use all of the social sites in the marketplace. Swarm is another networking site worth considering for your biz. Make sure you know what works best for you. Test. What’s the purpose of a traffic light? Exactly. When source is nudging you north and you’re going south, it is the difference between going with the flow and going against it. Draw a distinction between signal and noise to enable you focus on what matters most. On the internet front, Facebook is golden gate for marketers. With laser targeting, you can make insane profits. Discover A-Z tools used for building an insane lucrative biz starting today! Before people come to you they must know where to find you. Or at least if you’re not ready to be found, create compelling campaigns within your perimeters so that as soon as you’re ready to roll, locating you will be much more easier. Position yourself. This is what a lot of people refer to as ‘luck’ or ‘blessing’. Where will you be when opportunity knocks? Do you remember that movie, ‘Finding Nemo?’ Great! Think about this for a sec. It’s a biological and natural instinct for newborn to crawl up their mother’s breast. To put simply, where the aroma is 😊 foodies gather. Seal and secure your space. Your place of doing business, at your shop, on the internet- Twitter handle, blog, URL etc. This is very important because thieves. Sometimes, your space may be hacked, completely ravished. At other times, it can be replaced with something better. Some call it ‘Growth Hack’. Please believe me, if this happens to you, I’m sure you will be shouting for joy for being so damn lucky. Don’t forget, there are good hackers and there are bad hackers. Whatever the case, set your filter to allow only the good stuff. Period! Whatever is not yours can be taken away from you. You don’t want to completely rely on third parties. You want to build your own, find your unique voice, establish a reputation, and add value to the community. Introduce yourself, let people know that there’s something new to look out for, tell them the most important thing, and why they should believe it. Did you know that fabrics is an instrument in the hands of tailors and weavers? Fashion is an instrument in the hands of the designers? And fashionistas as instruments in the hands of entertainment industry architects. One of the most, if not the most important aspect of penetrating the market is customer feedback. This is like choosing friends, repelled or attracted by certain attributes. People feel good when they know you care about them. You’ll have to tailor your approach in a way that will resonate with your audience. Imagine how the question above made you feel. You are not only appealing to the intellect but to the heart. This approach could be a 😊 option for you because you are trying to engage an audience making an emotional connection. Once you’ve created your vision board, lay hold of your work instrument, build your platform, identify what you’re good at, follow the direction of intended travel, and open up your platform to receive info from the market, you can relax and let your personality shine through as you make decisions along the way to stable your path and navigate your 💡 idea towards the right direction. Always remember your vision board. If you neglect your vision it can go rusty. Go back to it as often as you should. Sharpen it, polish it, and go in hard every time you want to penetrate the marketplace. Stay 100% focused and keep it moving. Sharing is caring. Whatever i learn from professional business related connections are shared on the go. It's no use hoarding valuable information. Our motto is, 'Let it flow'.